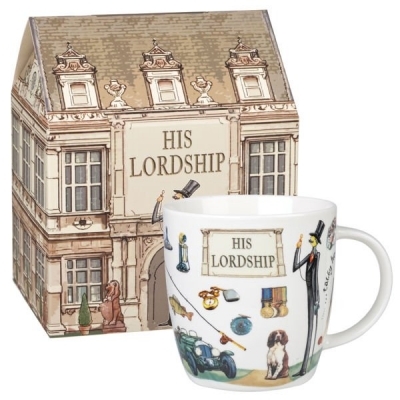 Appreciate the finer things in life with Queens's His Lordship mug from their At Your Leisure collection, featuring charming hand-drawn illustrations of all finer things in life. The fine china mug is exquisitely presented in a house-shaped gift box matching the golf theme. The perfect gift for your lord of the manor.